The latest in a long series of UN-sponsored talks is convening in Lima, Peru, for two weeks of negotiations. 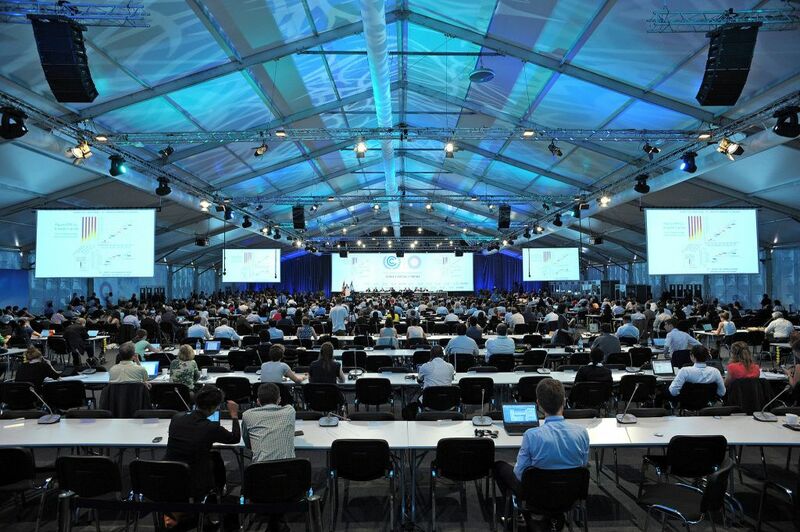 The goal is to lay the basis for a climate treaty deal in Paris in November 2015. The last international agreement, the Kyoto Accords, expired in 2012; all subsequent efforts to replace it have failed thus far. The recent bilateral agreement between the Obama administration and the Chinese government set targets for limiting and then reducing greenhouse gas emissions. For the first time, China agreed to set a peak for its greenhouse gas emissions in 2030 and to reduce them in the decades following. China's reluctance to set such targets in the past has been a key stumbling block to reaching an international agreement, more significant since China became the world's largest emitter of carbon pollution in the last few years. This bilateral agreement has given new impetus to the likelihood of using the UN process to reach a new and more far-reaching agreement. Similarly, the foot-dragging of U.S. negotiators has been another key roadblock to an international agreement. New steps taken by the Obama administration include the agreement with China, which sets a target of serious reductions by 2025 for the U.S.; new EPA rules for new and existing power plants limiting their carbon pollution; continued commitment to renewable energy which started with the 2009 stimulus bill; and heightened attention in Obama's 2013 Inaugural and State of the Union speeches. While the bilateral agreement by itself is not enough, it does lay the basis for both the US and China to play a more positive role in international negotiations. This gathering takes place against the backdrop of continuing increases in temperature worldwide. There is a developing three-part alliance bringing pressure to reach an international agreement on reducing greenhouse gas emissions. - First, the massive environmental movement demanding action on climate change, highlighted by the 400,000 strong September People's Climate March in New York City, alongside support marches around the world of many more tens of thousands of protesters, totaling over 600,000. - Second, the continuing signs from the natural world that climate change is real, is affected by human activity, and is already causing destruction and economic losses. - And third, the growing realization by policymakers and some economic heavyweights that action must be taken. These three forces have combined to create an atmosphere of excitement in the international negotiations, a welcome shift from the failures of previous gatherings in Bali, Cancun, and Copenhagen. There are significant issues and problems facing the negotiations, including many related to India. Moreover, given the rapidly developing problems from climate change, including some unexpected ones, the danger of approaching tipping points, and the sometimes apocalyptic uncertainties of climate change, it is highly unlikely that even the most aggressive agreement possible will adequately address the need for a worldwide shift to renewable energy, and will not touch the need for a fundamental restructuring of the capitalist world economy.